This article is 2538 days old. 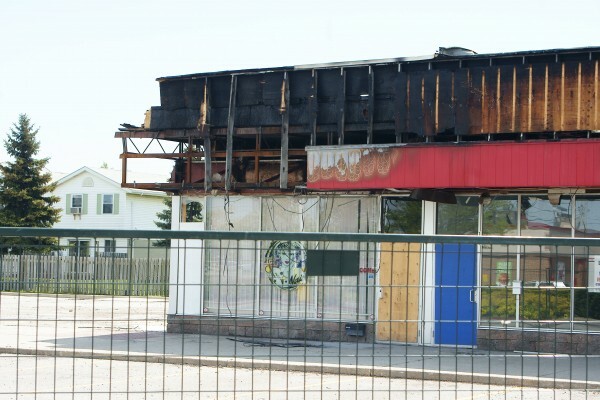 At around 8pm tonight it has been exactly one month since a major fire ripped through a plaza in the 6700 block of Tecumseh Road East destroying a Dollarama store, a dentist’s office and causing significant damage to other neighbouring businesses. Fire broke out shortly after 8pm on Easter Monday, April 9th, and the structure burned all night. The next day, what was left of the plaza resembled scorched, twisted pieces of steel and brick. Arson investigators determined that the fire started four feet off the ground in an aisle in the middle of the store and that the circumstances surrounding the start of the fire were “suspicious”. 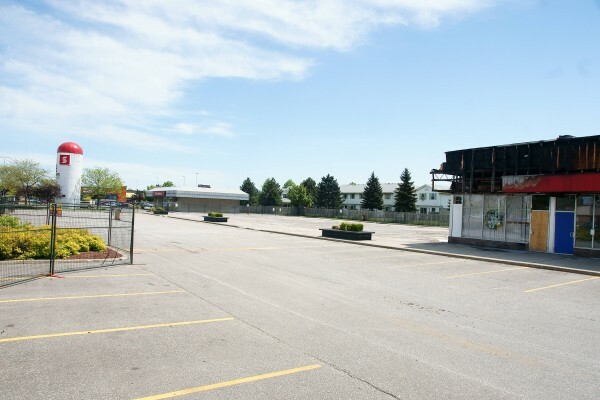 Three weeks later, a physical on-site investigation is long over and most of the building that housed the Dollarama and neighbouring dentist office has been cleaned up and sent to a landfill. Small piles of rubble still remain on site and will soon be loaded into a dump truck. 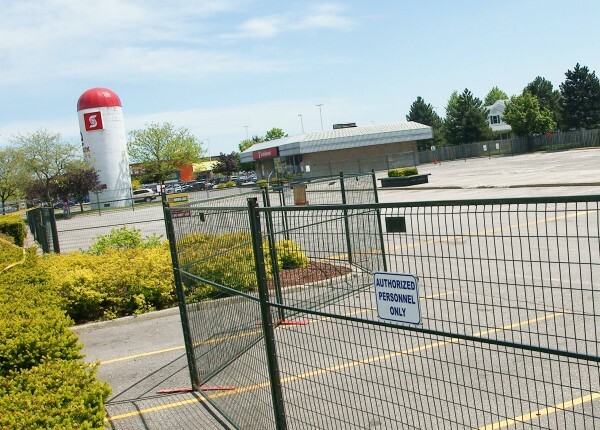 A sign informs customers that the location is “temporarily” closed and that the nearest Dollarama is at Tecumseh Mall. No motive has yet been determined for the suspicious blaze nor do police have any suspects in custody.